Winner of Christmas Photo Contest receives prize! Christmas is the one time of the year where it is completely acceptable to decorate your house with trimmings, tinsel, fairy lights and endless amounts of chocolate. So when Peter Ward Homes announced it was running a competition for the most over the top and creative decorations, it was no surprise so many jumped at the chance to impress. 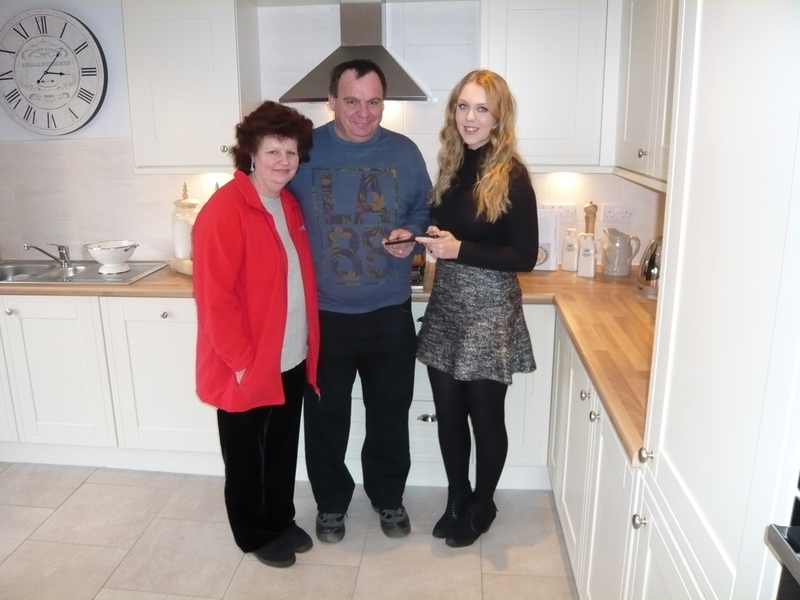 Mr and Mrs Donkin receive their Linx 7 tablet. Mr Donkin lives at the popular Peter Ward Homes development, Habrough Fields in Immingham with his wife. It was his idea to enter the competition in hope of winning a new tablet. This is not the first time the award winning housebuilder has had success with an online contest as the iPad mini prize draw back in October proved to do equally as well. Peter Ward Homes have a rapid presence on social media and constantly look to interact with their homeowners in any way possible.